Learning how to play table tennis is quite easy especially if you are the sort of person who is into sports. This is because this game doesn’t involve any complicated rules and guidelines that can prove to be confusing to any beginner. As long as your reflexes are good and you know the right way to hit the ball, then you can easily get into the game of table tennis. Do you like to know how to play table tennis? Table tennis is a very interesting sport and one of the most popular sports in the world. I will help you to know the basic aspect of the game that will enable you to start as a beginner. It is quite easy to learn to play table tennis at home for fun, but if you are serious about learning the sport, you will need to practice with more effort and determination. The basics of playing table tennis are to know how to choose your table tennis equipment, to know the basic table tennis skills and the basic rules in table tennis. 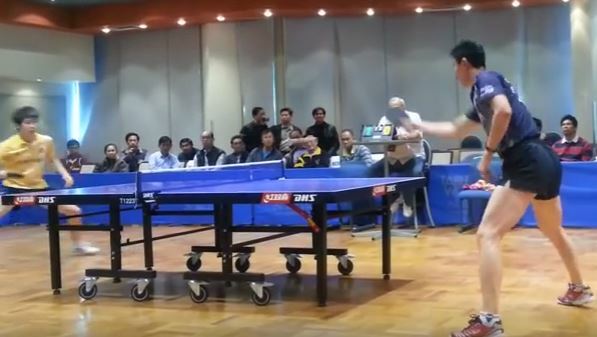 You will need a table tennis table if you want to practice ping pong at home or you can join a local table tennis club and practice with their ping pong tables. However, the most important table tennis equipment you will need is the table tennis racket. The basic techniques you will need to know is the basic table tennis serves, basic table tennis strokes and table tennis footwork. The first serve in a table tennis game is decided by a lot which could be a toss of a coin or by hiding the ball in one hand and the other player will guess which of the hand the ball is hidden. If the guess is correct or not, it will allow the winner the right to serve or receive first and chose which side of the table to start playing. To make a good serve in table tennis, you will need to hold the ball in your palm with one hand and your racket in the other hand, then toss the ball upward not less than 6 inches high. As the ball descends you will have to strike the ball with your racket so that it will hit your side of the court first and then hit your receiver’s court across the net. However, in a fun game at home, most players do not toss the ball upward but it is against the rules of table tennis if you do not toss the ball upward before serve. As said earlier, table tennis involves hitting a standard size ball. This is through the use of rackets or paddles similar to tennis except that it is smaller and is held on an indoor table. Also, table tennis is a game that can be played by anyone as opposed basketball which requires height, volleyball which requires jumping power and tennis which requires strength. All you need in learning how to play table tennis are good reflexes, focus and the ability to make quick decisions. Any beginner should first familiarize themselves with some of the basics of the game in order to learn how to play it. These include learning how to hold the paddle, do a serve and do a return. Once these basics are already covered, the learning the rest can easily follow. Learning the right way to hold the paddle is very crucial for all who are just beginning to be familiar with the game. This is because the way a player holds his paddle can affect greatly his movements and reactions. This is why different types of grips exist depending on the different varieties of players. The two basic way of holding a paddle includes the penhold grip and the shakehand grip. The names can literally sum up how each of the grips is executed. The penhold grip is similar to the way any person would hold a writing instrument while the shakehand grip is similar to the shape that the hand makes when shaking hands. A player can make use of any of these two kinds of grips depending on their style and preferences. The serve is another thing that must be learned as this is used to start all table tennis matches. This can be done in a variety of ways and techniques again depending on the player’s style and preferences. It is done by holding the ball on the player’s open hand then throwing it in the air to as high as possible. The player then hits the ball so that it bounces once on his court. Then on the opponent’s court making sure that it doesn’t touch the net. Lastly, the ball must not be hidden during the process of hitting to avoid receiving a penalty from the officials. Doing a successful return must then be done after a serve is done. Again this can be done in a number of ways, either offensively or defensively, as long as the ball is sent back to the opponent’s court without bouncing twice on the player’s own side. Also, a number of rules apply to make returns. These three basic things are needed in learning how to play table tennis successfully. It is recommended for any beginner to familiarize themselves with these three as these can serve as the stepping stones in learning more advanced table tennis terms and methods successfully. Below are some useful videos that you can refer to on the basic of playing the table tennis game. What are the best ways to practice table tennis techniques and improve your game? If you are a beginner, there are different table tennis practices that can help you to improve your basic skills in table tennis. You will need to know the basic table tennis techniques to enable you to improve your game. You have to consistently practice your table tennis techniques before you can be able to master them and become a better player. I will show you how to get the best table tennis practices for beginners to help you develop your table tennis skills. Here are the 6 best table tennis practice tips that can help you improve your table tennis techniques. 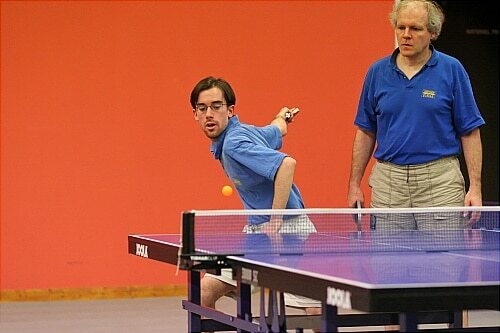 The best way to practice table tennis techniques is through a coach. A coach we help you to develop your game and teach you all the important techniques that you need to know. You can practice with a playing partner who should be a player of the same level as you or slightly above your level of play. This is a simple table tennis practice that is very easy and can help you and your playing partner to practice your table tennis techniques. If you cannot find a training partner or a table tennis coach, then you can make use of a table tennis robot. Table tennis robots are quite expensive but if you can afford it will be very good for you to practice and improve your game. A robot is a table tennis ball launcher and once installed on your table tennis table, you can adjust the spin and speed that you want the robot to launch the ball. It is best to buy a self-practice table tennis table because it can help you practice your game. Folding table tennis tables can be used as playback to practice your table tennis serves and strokes. Watching instructional table tennis videos and table tennis championship videos can help you improve your techniques. You can find free table tennis practice videos on YouTube and you can also buy instructional table tennis videos at online table tennis stores. Table Tennis University pages have some good collections of free table tennis championships videos that can be helpful for you to practice your table tennis techniques. You need to practice your basic table tennis strokes, basic table tennis serve and table tennis spin. You can use any of the above or a combination of two or three of them for maximum results and improvements of your table tennis techniques. If you are serious to learn table tennis and you want to improve your table tennis skills, you need to consistently practice your techniques to be able to master them and become a better player. Using the multi-ball method to practice can help you improve your game. The multi-ball practice method involves two players or a player and a coach. One player using a bucket full of table tennis balls feeds the balls to you from the other side of the table. You can use multi-ball to constantly practice your forehand and backhand strokes techniques. 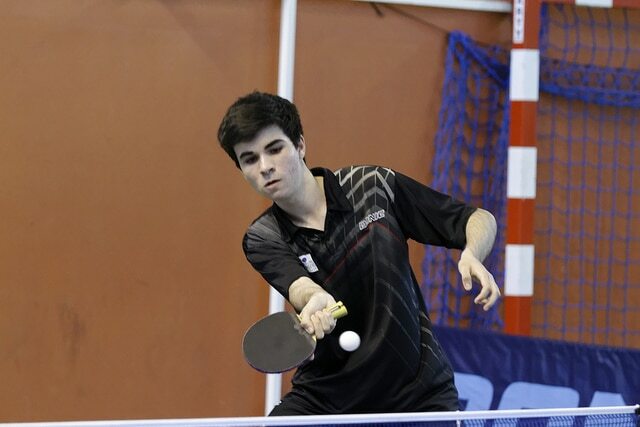 There are many training techniques to help beginners learn how to play table tennis and one of these methods is multiball table tennis training. Multiball is a very effective training method for beginners and amateur table tennis players. It is always very difficult for beginners to effectively control the ball without the use of some effective table tennis training. Multiball is a table tennis training used to help beginners concentrate on hitting and placement of the ball. 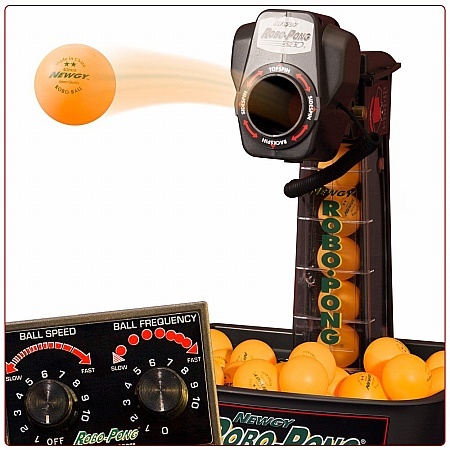 Multiball includes the use of a bucket or container of balls which a coach or any other person (training partner) throws the ball to a player from one side of the table to another. The player can use multiball to practice in a way that he will hit the ball and place it to a particular angle of the table. The coach or training partner throws the ball while the player hit the ball back with a specific stroke and spins to a specific angle. The bucket of balls is usually placed near the edge of the table while the other person or partner who supplies the ball stands on either side of the table, depending on if he is left-handed or a right-handed. One of the advantages of using multiball churning machine in table tennis is that it helps beginners to practice hitting the ball and also to control the ball in the right angle or direction. It can be used to build player fitness because the feeder can place the balls in a way that makes the player move constantly from one angle of the table to another in quick sequence. It also helps a player to perfect his/her strokes because the coach or training partner will feed the ball precisely where he wants it to be and thereby make the player hit a particular stroke many times in a role. Multiball is also used to help a player get the right footwork for a particular stroke, for instance, if a player need a particular stance or movement to be able to hit a stroke, the feeder will feed the ball so that the player will move into the right position before hitting the ball. This can be done slowly at first but when the player gets the grip the ball will be feed faster. The multiball can help a player develop good eye reflex and help to develop speed in returning of strokes and also understanding spin. The disadvantage of multiball is that only one player gets to benefit from the practice because the other player has to throw the ball to the practicing player. However, if the player has a coach to feed the ball for him, it would be better but a coach that has more than one player under his training would not be able to satisfy all his players at the same time. The other day, I was teaching a class of twelve-year-olds at the boy’s club in my area. While showing them the proper way to use footwork, the athletic director walked in and took a seat. The whole time he was there, he seemed fascinated by the action that took place. I replied, “To me, it’s not teaching, I’m really practicing.” The athletic director looked shocked that I answered the question the way that I did. “How can you practice with a bunch of kids when you obviously are very good at what you do?” he asked. Many times, players disregard others who play the lovely sport of table tennis simply because they feel they are better than them. I personally feel that every match is different. Whether you have superior skills or not, practice is practice. There’s never a moment where you can’t learn anything from playing against weaker opponents. The key is to practice on something! Now I’m not saying you should go out there and crush the weaker opponent into oblivion. This won’t do anything but help make enemies and make you look like a mean-spirited player. Instead, be creative and find ways to improve your game! You can practice on one or two specific things that can help your game become stronger. For instance, if the weaker player has a really good forehand, then practice ways to return the shot. You can work on using good footwork to return every shot with your backhand. Not only will this be a workout for you but also your opponent can practice their forehand as well and learn from you. That’s what being a good sportsman is all about.